You are currently browsing the tag archive for the ‘happiness’ tag. The 2017 Advent season has begun! Advent is a time of anticipation. A time of looking forward to something unbelievably good. Looking forward to Jesus’ birth. God becoming flesh and dwelling among us. God condescending to be with us. Emmanuel. Honestly, all that doesn’t mean so much to people anymore. Advent in our day and age usually means anticipating buying gifts, going to parties and family get togethers. Things that a lot of people Don’t look forward to. For too many people, the Christ birth event is a minor part of the holiday season, if it exists at all. Jesus in the manger has lost it’s luster for a lot of Christians for another reason. It happens every year. It’s not new. We Want New. New electronics, kitchen gadgets, clothes and toys. Christmas isn’t new. It’s the same old thing, year after year. I’m 54 years old. I was raised in a Christian family. I have 54 years of Luke 2 and Matthew 1-2 under my belt. What could possibly be new in 2017 Advent? What is there to anticipate? With this in mind, I began to think about how Jews might have been thinking around the time of Jesus’ birth. The Chosen People of God. They hadn’t had a prophet speak the Word of the LORD to them since Malachi, 400 years earlier. They had been under the thumb of foreign rulers for about 600 years. So, People Of God, how’s that working out for you? Some of us look forward to celebrating the birth of the Messiah every year. The Jews had been anticipating that day for over half a millenia! When I think of looking forward to something good, I think about our family vacation that we took in July. We drove from Oaxaca, Mexico to Brush, Colorado. In May we began planning for the trip, and the anticipation began. Anticipation of crossing the border into the U.S.A. Anticipation of seeing my parents and sister and oldest daughter. People I haven’t seen for over two years. Anticipation of Mom’s great cooking, as well as Taco Bell and Mountain Dew – food and drink that are not available here in Oaxaca. Normally we would fly to Colorado, but this time we were going to drive, so we were looking forward to close family time (four days in the car) that would include museum visits, tourist attractions and motel swimming pools (Sally and Kelly, my youngest daughter’s favorite). Anticipation of camping in the mountains and seeing a Rocky’s baseball game. The fulfillment of all of those things was great. A wonderful time was had by all. Heart’s longings were met and we were filled with joy. And that was after waiting a mere three months. After waiting hundreds of years, the Messiah came to the Chosen People of God, and brought true spiritual freedom to all who would accept him and his message. Some were disappointed that he didn’t overthrow Roman rule and bring national freedom. But many more people through the ages have received something greater to celebrate, freedom from sin and adoption as Children of God. The hungry eat the living Bread and the thirsty drink the living Water. This Advent season I hope we can all find time to “wait for him”. 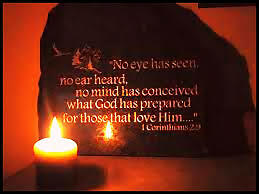 Wait for Him to reveal himself in new and wonderous ways that can fill our journey on earth with happiness. In waiting for Him, in meditating on Him, we find hope and joy. Strength and peace. Below is a web address for a video meditation on Advent that may encourage you on your journey. I think people generally take bread for granted. It’s a staple of many peoples diets. It’s common. It’s cheap. It’s conveinent. I have taken it for granted for most of my life. 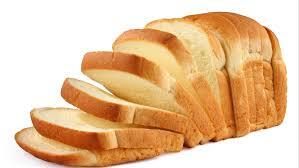 Growing up we had toast with breakfast, sandwich for lunch and a piece of bread with butter for dinner. Lots of bread – little thought about it. I stopped taking it for granted a few years ago when I began taking the Lord’s Prayer seriously and started praying it everyday. The Lord’s Prayer has big spiritual ideas like the holiness of God, the Kingdom, the will of God, forgiveness of sin, deliverance from the Evil One, power and glory. And right smack in the middle of it is BREAD! 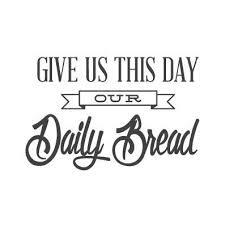 Give us today our daily bread (Matthew 6:11). Imagine that. Jesus wants us to ask the Father for bread everyday. Not take it for granted. Not assume that we will always have it. Ask God today for our daily bread. So what’s the big deal about bread? I think God wants us to remember, to remind ourselves, everyday, that we depend on God for everything in our life, everyday. From our salvation and sanctification, to our daily bread and daily breath. If God doesn’t give it, we don’t get it. So the next time we spread jelly on our toast, or bite into a Big Mac, let’s take a moment to thank our gracious, generous heavenly Father for the bread. God loves us and wants us to be happy, so He gave us bread! I think grace and peace are the most important possessions we can have to be truly happy people. We need the grace and peace that comes from God to enjoy God in His happy kingdom. Think of Paul before his close encounter with Christ. He claims that as for righteousness based on the law he was faultless, and as for zeal he persecuted the church (Philippians 3:6). He thought he could do it all spiritually speaking. He certainly tried, but apart from the grace of God he had no peace. Imagine the peace that flooded his soul when he encountered the grace that come from trusting Jesus and living in right relationship with God. Think of Peter, living and learning from Jesus for three years. Boasting that he would never deny the Lord, willing to die for him if necessary. Hours later Peter claimed vehemently that he never knew Jesus. Jesus looked at Peter as Peter made his last denial while the rooster was crowing. He fled in tears. Not a lot of peace there. But later, he received abundant grace and forgiveness and was able to live and ultimately die, crucified upside down, in great peace. It’s no wonder Paul and Peter begin and end their letters with reminders to their readers of grace and peace that are only found in Jesus Christ. It defined their lives. Those qualities of grace and peace were the foundation of everything they believed and did. What did they have in mind when they used the words grace and peace. With grace they meant the free gift of God that comes through Jesus’s life, death and resurrection. This gift, totally undeserved by humans, transforms mere existence into Life, survival into thriving and flourishing. Peace is not simply the absence of conflict, but a deep and abiding sense that in the turmoil, confusion, pain and loss that we experience living in this broken world, there is Someone who is ultimately in control; a Savior who not only keeps us from going crazy, but who imbues us with a feeling of contentment. A God who loves us and wants us to be happy. I live in Mexico and cooperate with God at a home for needy children. In the last two weeks we have experienced two really big earthquakes – an 8.2 and a 7.1 that caused incredible damage and took the lives of almost 400 people. Fortunately, by the grace of God, there was no physical damage to any of the buildings here at the mission, but many of the children, including my own two daughters, are constantly aware of what could possible happen and are reminded almost daily with the aftershocks. We felt four yesterday. To some extent we all waver between nervousness about whether or not there will be another earthquake, to outright fear. My daughters talk about earthquakes many times a day and sleep with us at night for fear of more of them. I don’t understand much about God and natural disasters and suffering and loss. I can’t figure out exactly why God does what he does. I am perplexed at many turns on lifes long road. But I am grateful to God for that Peace that brings wholeness and well-being. That peace of God that makes me secure on the inside, even though things appear miserable on the outside. That peace of mind that comes from the God of peace. The peace of God which transcends all understanding and guards my heart and mind in Christ Jesus. The peace I have when I trust in the LORD with all my heart, and lean not on my own reasoning. Peter and Paul begin and end their letters with Grace and Peace. May we begin each day by meditating and contemplating the incredible grace we have through Christ, and end each day thanking God for peace in our lives. Suzy loves chocolate chip cookies. They make her happy. She asks her mom for one. Her mom tells her she may have one after dinner. Suzy sneaks some before dinner and eats them. They make her happy, but she has done an evil thing. Romans 1:29-32 says she should die. Adolf Hitler hated Jews. It made him happy to have them killed. He had millions of them put to death. He was an evil man. All people desire to be happy. No one wakes up in the morning and says, “I hope I have a terrible bad day and end up sad and miserable.” No, people hope to have a good day where everything goes as planned, and perhaps some great unexpected things happen and they end the day with a big smile on their face. There is some part of the brain that is constantly making decisions about what will make me the happiest or what will cause me the least amount of pain or discomfort, be it emotionally, physically, mentally or spiritually. Everything I plan, every decision I make is ultimately based on what I perceive will make me happiest. God made us and knows what will make us ultimately happy. That is why he gave us the Bible, to tell us what kind of choices we should make to be happy and avoid pain. This life on earth is short compared to eternity. Ultimate happiness is going to heaven and living in God’s immediate presence. Ultimate pain is hell. Got it? Heaven good. Hell bad. Heaven joy. Hell pain. So it is in our best interest to make decisions that will make us happy both in this life and in the life to come. Reading the Bible and listening to people who know the Bible will go a long way toward this end. It will help us make decisions that lead to long term happiness and goodness, rather than short term happiness and long term evil and pain. Or, Be Happy and Flourish! planted in the house of the LORD, they will flourish in the courts of our God. May the LORD cause you to flourish, both you and your children. I trust in God’s unfailing love for ever and ever. So, do you want to be a person of faith? I like to talk about how much God loves us and wants us to be happy. Where’s the happiness in all that? The ultimate happiness for people of faith is Heaven. That’s easy to see by taking another look at Hebrews 11. Verse 16 tells us that people of faith are longing for a better country – a heavenly one, and that God has prepared a city for them. Later we see that Moses was “looking ahead to his reward.” Verse 36 says that some who were tortured, refused to be released, so that “they might gain an even better resurrection.” The last verse of chapter 11 lets us know that God has planned something better for us. The main thing to remember about Faith comes to us from verse one, “Faith is the substance of things HOPED for …” Not so much what we hope for in this world, but in the world to come. “How much stuff do you need to be happy? “I don’t know. How much stuff is there? I have been reading Timothy Keller’s new book, Making Sense of God: An Invitation to the Skeptical. Here are some quotes from him and others about happiness. In thee I live and move and have my being. What did Jesus have in mind exactly when he said “deny yourself and take up your cross.”. Especially the deny yourself part. He said that if you try to save your life you lose it, but if you lose your life for my sake, you gain it. My big idea lately, my take away with those words, is that in one sense Jesus was talking about instant gratification vs. delayed gratification. I think God loves us and wants us to be happy, so if we deny ourselves the instant gratification that most sin tempts us with, (Moses in Pharaoh’s palace for example) then we will be happier in the long run. How could we be happier than to be filled with the fruit of the spirit? It can take a while to get fruit from a newly planted sapling. We don’t get immediate gratification by planting a little apple tree or orange tree. We have to wait a year or two or three before we are gratified by a crunchy apple or a sweet orange. We do experience immediate gratification when we give in to the lust of the flesh, best defined in Galatians 5:19-21 (sexual immorality, impurity, debauchery, idolatry, hatred, discord, jealousy, fits of rage, selfish ambition, dissensions, factions, envy, drunkenness, and orgies). Following those verses we are given a list of the Fruit of the Spirit (love, joy, peace, patience, kindness, goodness, faithfulness and self-control). So we strive to deny the lusts of the flesh and instant gratification so that we reap the harvest of fruit that comes with waiting and abiding in Christ, and experience greater pleasure in the long run.